For reasons we can't really grasp, Marvel decided to announce their new character on The View. And here SHE is in her thunderous glory. While details are scarce, we now know that this new Thor was saved by her predecessor, the former male Thor, who is no longer worthy to wield Mjolnir. The only other details we have is that this #1 issue will premiere in October under the supervision of Jason Aaron and Russell Dautermann. 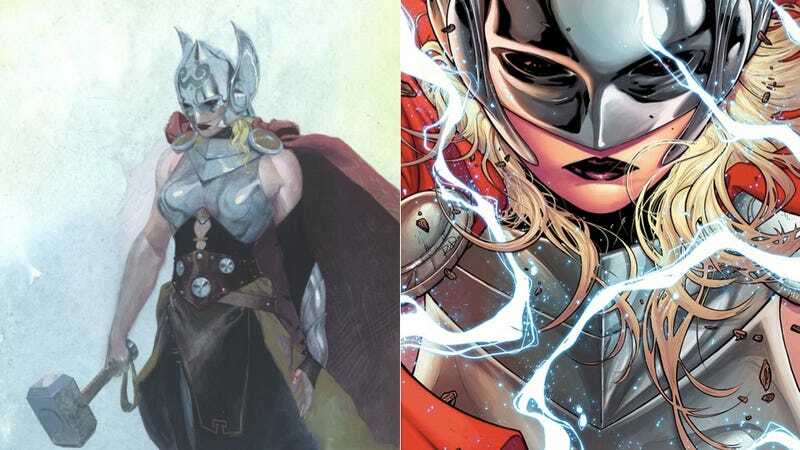 Marvel's press release quotes writer Jason Aaron as saying: "This is not She-Thor. This is not Lady Thor. This is not Thorita. This is Thor. This is the Thor of the Marvel Universe. But it's unlike any Thor we've ever seen before." The press release also says that whoever is worthy to hold the hammer gets to have the name Thor, so this really is Thor.